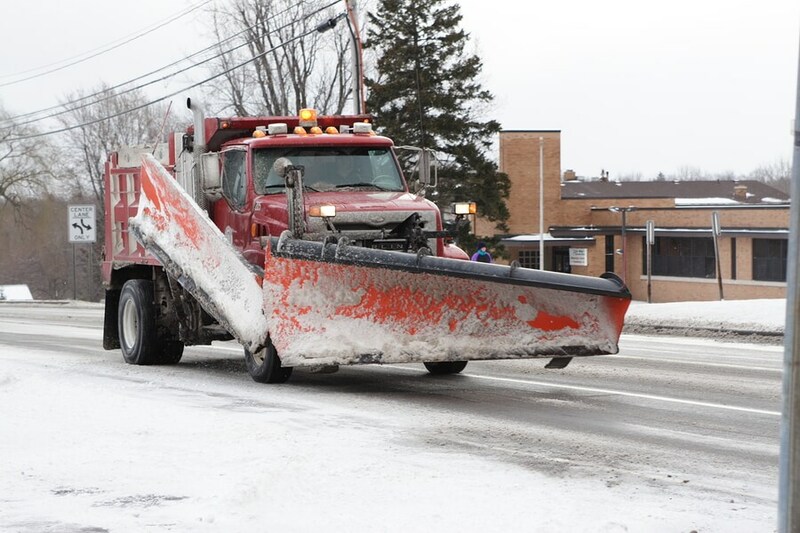 3 Ways Snow Plows Impact Pavement Lots - NVM Paving & Concrete, Inc. When the blades of a snowplow are too low, they may scrape against the top of a pavement lot and remove the upper layer. This may occur on pavement lots with variations in grade surface and when a plow is used without some form of rubber protection on the blade. The loss of the top layer means the removal of important surface sealing applications, making the damaged lot more vulnerable to crack formation throughout the winter. To organize traffic and general vehicle flow, it is common to use speed bumps and other concrete structures. An inexperienced snowplow driver may not notice such barriers or even an experienced snowplow driver may accidentally damage these obstacles with snow conditions making it challenging to see. To avoid this issue, work with a snow plow company familiar with your lot and use bright colors to mark barriers in the winter time. When a snow plow runs over rocks and other debris during regular plow sessions, the overall weight may push the small debris into the asphalt and damage the surface. This may seem minor at first. However, small cracks can become inconvenient damages such as potholes due to water melting and re-freezing throughout the season. Winter can be a brutal season for infrastructure. This includes pavement lots that are maintained by snow plows. It is possible to prevent the impact pavement lots take toward some of these damages with proper seal technology and intentional snow plow management strategies. Contact NVM Paving and Concrete today by calling 703-423-0471 or sending an email to NVM Paving & Concreteto discuss emergency response and seasonal approach snow removal plans.